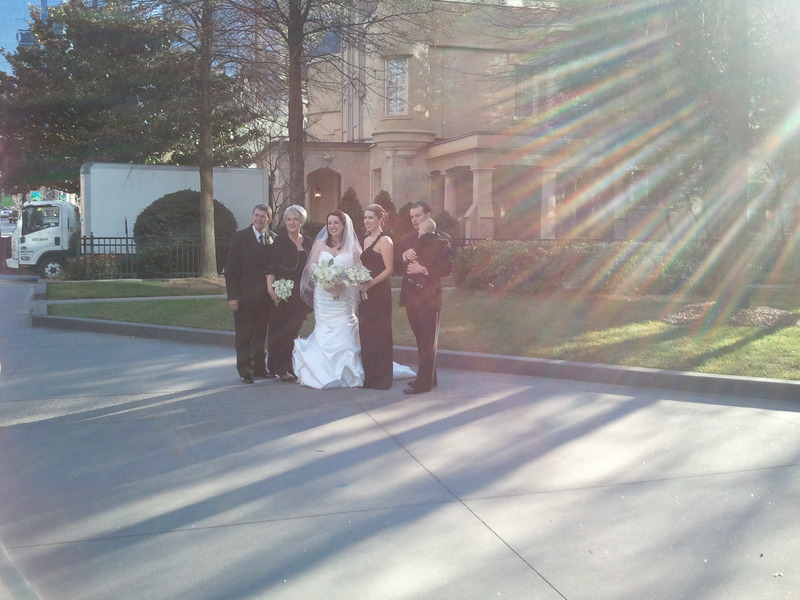 Lethal Rhythms would like to say thank you to our newlyweds, Mr. and Mrs. Brian Rathman! 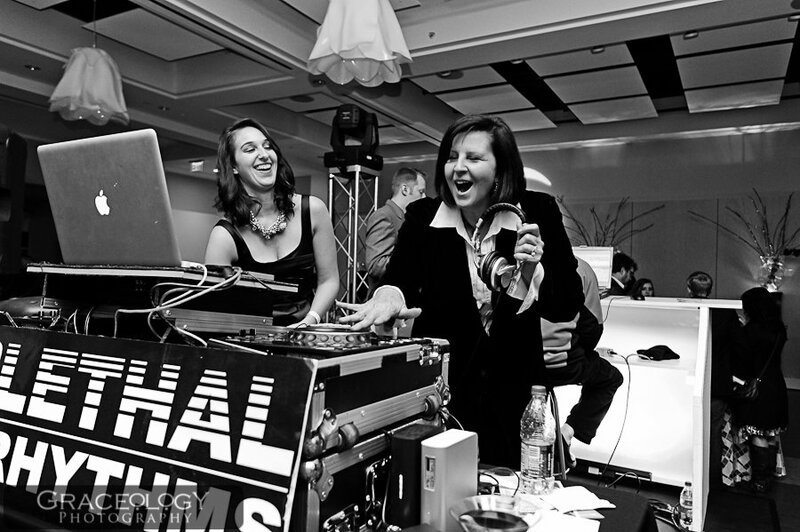 It was such an honor for Lethal Rhythms DJ Mike Beaver and Event Coordinators, Kra Riddell and myself, Deziree Valdez to be a part of their wedding day on January 29, 2011 at the W- Hotel Midtown. Though Kra Riddell has coordinated weddings before, this was my first and it was remarkably beautiful and truly unique! When I reminisce about the ceremony and reception, I begin to imagine the elegant lighting flowing throughout the gorgeous drapery that flowed over the back wall, provided by Event Drapery. By Tulip Flower Shop’s beautiful bouquets set on pedestals created a stunning visual accent against the white lighted drapery, which perfectly framed both Jennifer and Brian as they said their vows on center stage. Guests then made their way upstairs to the Away Hallway to enjoy delicate hors d’œuvres and a complimentary open bar. As guests mixed and mingled for about an hour, they were then summoned up to the 27th floor Ballroom for one of the most beautiful reception I have seen. 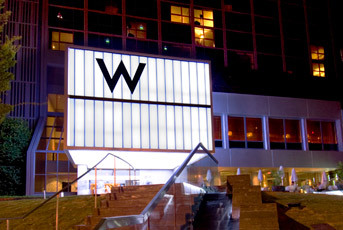 The W-Midtown catering prepared one of the most enticing dinners that pampered guests with choices of salmon, steak, or chicken. 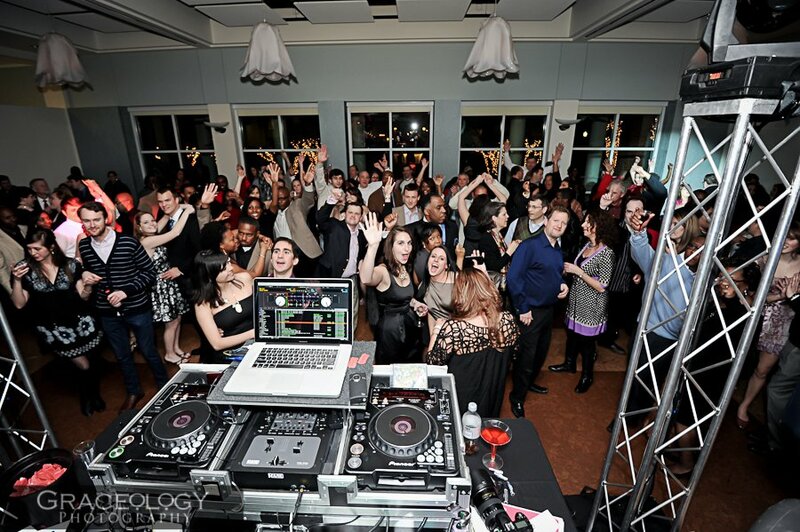 After toasts were given, guests flowed on the dance floor to dance the night away with DJ Mike Beaver’s latest beats. One of the unique dances that Mr. and Mrs. Rathman chose to incorporate is known as the “Anniversary Dance”. This is a dance where all couples slow dance to a variety of chosen songs by the bride and groom. As guests dance, the DJ randomly announces numbers; this number indicates the number of years couples have been together. Once a couple’s anniversary is called, they politely leave the dance floor. At the end of the dance, the couple who has been together the longest give words of advice to the newlyweds to take on in their marriage. 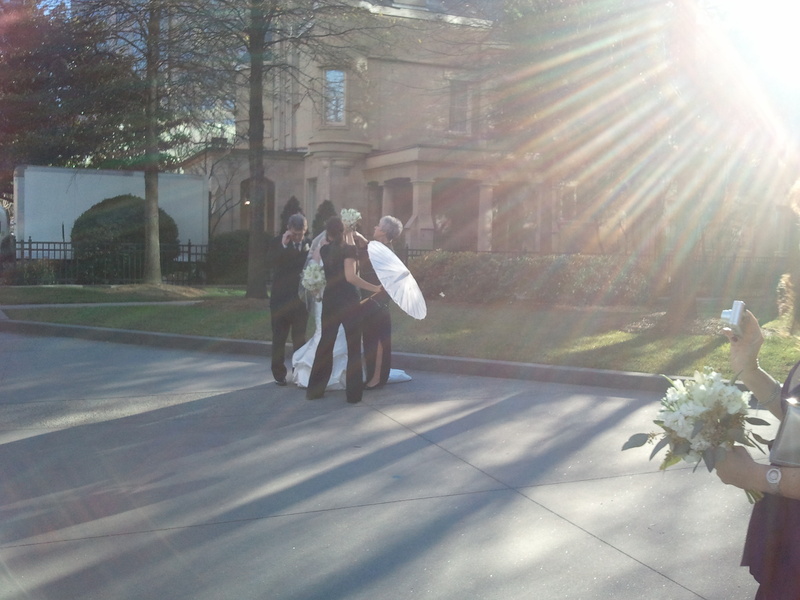 This was one of the most memorable moments I shared with Jennifer and Brian. As they began to slip away for the evening, they were surrounded by guests saying farewell before they exited through an outdoor elevator just in time to see the captivating city at its brightest. If you aren’t mesmerized yet, the talented Drew Newman with Drew Newman Photography, captured every special moment throughout the night. 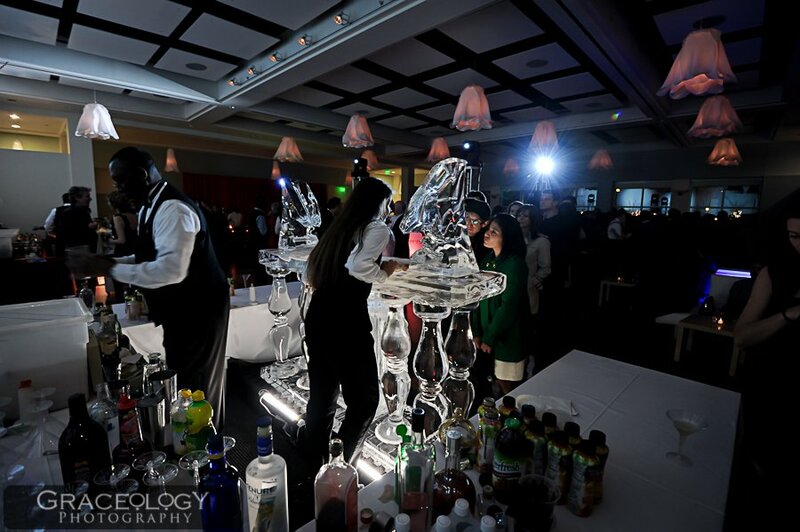 In addition to the positive energy that flowed throughout the W- Hotel Midtown, fantastic vendors worked together to create a flawless day! 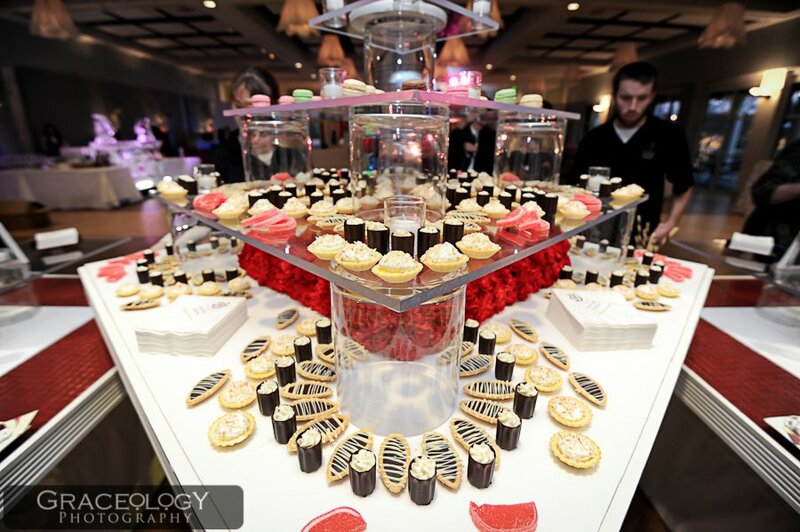 Lethal Rhythms took pride in knowing guests walked away from Jennifer and Brian’s reception with everything from the Rathman’s style, taste, and vision in mind! If you did not have the pleasure of attending the Rathman’s fairytale wedding, I hope I was able to give you a vivid recap of how perfect and romantic their special day was. Not only did I hear some of the best toasts, but every moment I shared with this wonderful couple and guests showed the dedication and devotion they have and bring together. This was truly a magical night that will be remembered dearly by family and friends alike. To listen to Lethal Rhythms DJ’s live, visit http://soundcloud.com/lethalrhythms for more details. 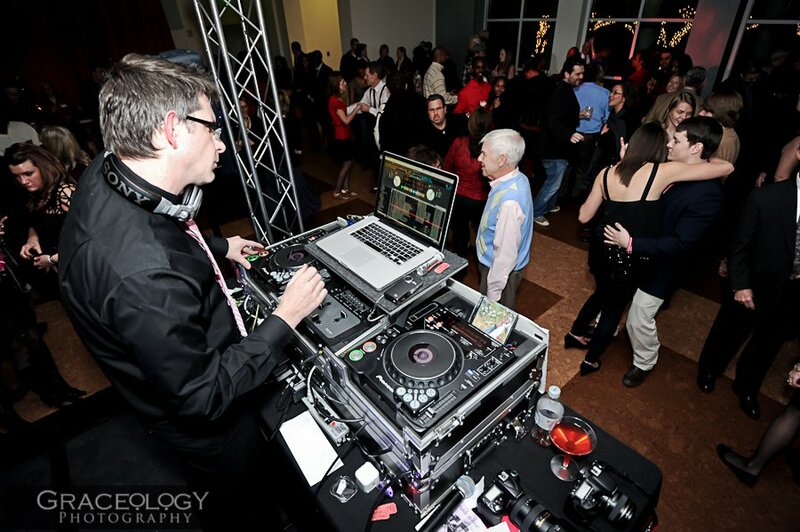 Become a fan of our Facebook, Twitter, and Blog to view Lethal Rhythm’s upcoming events and news!